Facebook's vice president of messaging products, David Marcus, has essentially uttered the essential complaints that tons of Facebook Messengers users have had for a while now - Facebook's dedicated messaging service has become way too cluttered for its own good. In a rather extensive blog post detailing Facebook Messenger's plans for 2018, Marcus admitted that 2018 will be the year when the platform will ditch some of the useless features and become way more streamlined than it currently is. After all, there wouldn't have been any incentive for the development of the Android-only Facebook Messenger Lite if the flagship app was any good and user-friendly. "Over the last two years, we built a lot of capabilities to find the features that continue to set us apart. A lot of them have found their product market fit; some haven’t. While we raced to build these new features, the app became too cluttered. Expect to see us invest in massively simplifying and streamlining Messenger this year," the chief said. Of course, there were no mentions exactly which new-fangled aspects of Facebook Messenger are to be considered clutter. The Games section, as well as the Stories and the over-encumbered built-in camera app with tons of heavy AR filters immediately come to mind, though. We do hope that the useful pop-up chat heads and built-in uniform emojis remain a staple of the app. Aside from streamlining Messenger, Marcus also revealed what Messenger will concentrate upon in 2018: better real-time and more 'visual' types of communications are coming along. 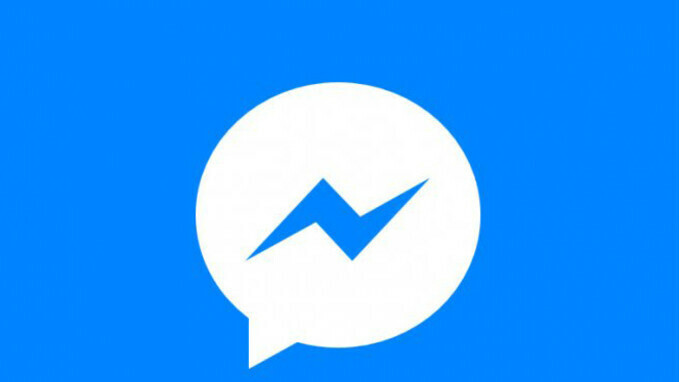 If anything, this would further solidify Messenger's spot as one of the most popular messaging apps used globally, and with the advent of Messenger Kids, the platform is truly gunning for the coveted first spot. Facebook intentionally made it stand alone since many people stopped using the Facebook app and instead go from a browser. Hence, to view message, one is forced to install the message app. I use both, so it's more convenient for me if both are in the same app just like before. They should've not forced everyone to install it in my opinion. I only use facebook for messaging, so a single app for everything I won't use would be too bloated for me. & please optimise the app so that it doesn’t eat up much battery. And doesn't wake up everytime it detects a signal. Even force stopping it and Greenifying it doesn't hold it back. And stop showing us online all the time even when someone open the Facebook app (not the messenger itself) for a second. It makes it look like that person doesn't do anything except sitting on facebook. There should be an offline mode so someone can watch some videos or browse on fb peacefully without bugged by anybody in spare time. I have messenger lite, which is built by Facebook. It's only for messaging, and works great. I think the download was 7MB. I've been using it for months. I stopped using Facebook ages ago. Its a cluttered mess. I was my primary messenger but then WhatsApp came about. Not to mention the heap of ads and s**tposting. I don't think it it cluttered. However, it is one of the worst apps on android as it takes too much memory and it is always running in the background together with its sibling,"Facebook app".